Our campaign is a grassroots campaign to bring Common Sense to Harrisburg and return the 46th to the people. Byron will make sure all the people and municipalities of the district are represented. Byron has been knocking on doors and meeting people in the district since October , but he needs your help if we are going to win this race and have someone fighting for us in Harrisburg! 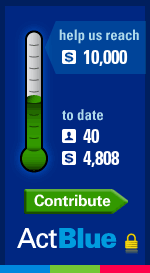 Please consider making a small donation so Byron can take our message of Common Sense to Harrisburg and fight for us! Please Consider Donating Using The Tool Below or The "Donate" button above. Want to know who has endorsed Byron? Click below. Help volunteer for Byron's campaign by using the "Volunteer" button or tab. Check out what Byron is doing by looking at his photos. Keep up with Byron by checking his Campaign Updates.